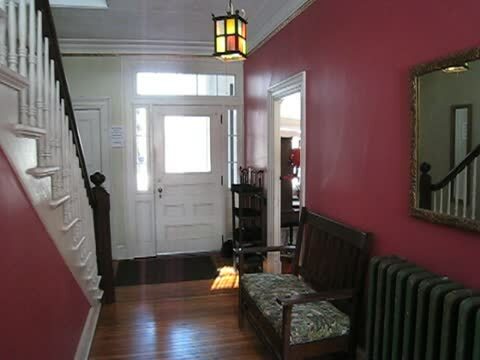 The Bed & Breakfast Inn offers 4 guest rooms for up to 9 people on 2 floors. All bedrooms have garden views. There is a large double parlor living room for guest use only. Guests enter the inn through their own private entrance and find the accommodations situated along 2 hallways. We serve a continental breakfast in the morning. There is a one time $35.- cleaning fee. Occupancy of more than 2 guests per room: $48.- per additional person. Prices do not include Connecticut Hospitality Tax. Full Refund for cancellations up to 14 days prior to 3 pm of the arrival day. There is no refund for cancellations within 14 days prior to the arrival day.